Even though the Internet has brought a world of dating right to your fingertips, meeting a woman who lives in your area makes it easier to get to know each other. Slightly more than 53 percent of the female adult population were single as of 2012, according to the U.S. Census Bureau. This may mean that the dating prospects in your area are plentiful -- provided you know the right places to look. A portrait of three friends on a neighborhood sidewalk. If you're shy, back on the market after years of being in a serious relationship or recently divorced, go places where you won't feel pressure or a hefty sense of competition. For example, instead of hitting the local dance club or bar and battling for women against so many other singles, opt for a mellow evening at a coffeehouse or your local library's book club. Stroll your local farmer's or flea market, take in free music or movies in the park, visit nearby museums or enroll in a class such as cooking or photography -- you won't meet many women if you just sit at home. Meeting a potential partner through friends is one way that couples connect. Ask your close friends and family to introduce you to single women they know or set up group dates or dinner parties. Don't count on this always being a formal fix-up. Something as simple as going to your friend's at-home game night can provide an opportunity to meet single women. If you're looking for something more creative than the traditional blind-date, plan a party in which you ask each guest to bring a single friend -- just ensure your guests aren't involved in any romantic way with the single gals they are bringing. 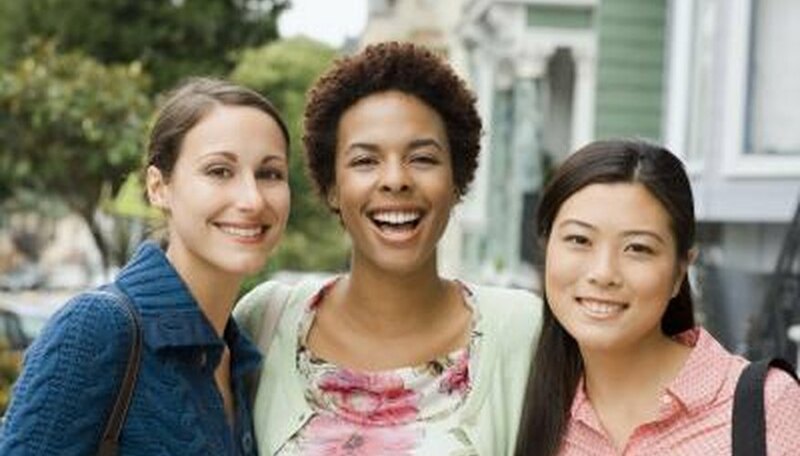 Combine your desire to date with a good cause and volunteer in your community -- it can help you meet like-minded women. Just over 62 million Americans volunteered in the year from September 2012 to September 2013, according to the U.S. Bureau of Labor Statistics. Aside from the traditional pet shelters, food banks or community park beautification projects, groups such as Single Volunteers offer localized charity work for unmarried people only (see Resources). Also check out your local library -- in addition to book clubs, it may offer specialized events for singles such as a speed dating session in which all "daters" bring along a favorite book. If the local gym seems more like a singles club than a place to get a workout, consider taking a class at a specialty school as a way to meet women in a more intimate environment; try something such as step aerobics, yoga or Pilates. Consider joining a running, biking or hiking club. Join or start an informal sports league for regular people, and not super-athletes; for example, get nostalgic and replay your childhood favorites in a kickball or dodgeball league. And remember, even if you don't meet a potential partner specifically through these activities, you just might make a new friend -- someone who would love to introduce you to their eligible niece, sister or best gal pal. Loop, Erica. "How to Find Single Women In Your Area." Dating Tips - Match.com, https://datingtips.match.com/single-women-area-2288565.html. Accessed 18 April 2019.